Be the first to share your favorite memory, photo or story of Faye Jean 'Jean'. This memorial page is dedicated for family, friends and future generations to celebrate the life of their loved one. Faye Jean Osness passed away peacefully at her home of 58 years on Sunday, January 20, 2019. She was surrounded by her family who had cared for her throughout her illness. Faye Jean was born January 22, 1940 in Merrill, daughter of the late Isabelle (Morrison) and Harold Travis. Jean was a 1957 graduate of Our Lady of the Holy Cross High School in Merrill. She furthered her education at Lincoln County Teachers College. Jean married the love of her life, David Osness, on December 27, 1958 at St. Francis Xavier Catholic Church in Merrill. He preceded her in death on February 22, 1991. Jean enjoyed spending time with her family, especially hosting dinner every Sunday afternoon. She always looked forward to the annual chili dump at the Travis cabin. Jean loved walking in the woods with her German Shepherds and providing a loving home for her rescue cats. She enjoyed tending to her yard and garden, feeding the birds and squirrels off her deck and caring for the deer in her front yard. Survivors include her children, Julie (Greg) Thorson of Merrill, Scott (Renee) Osness of Wausau, Keith Osness of Sugar Land, Texas, Johanna (Pat) Hoerstmann of Merrill and Craig Osness of Wausau; grandchildren, Melissa Osness of Wausau, Logan Osness of Madison, Ivan ‘Vanya’ Thorson of Merrill and Ben Hoerstmann of Merrill; sister, Barbara Hanson of Merrill; sisters-in-law, Patsy Travis, Betty Latzig, Elayne (Richard) Ollmann, Janet Beyer-Thums, Phyllis (Ralph) Buch, Carol Osness (Allen) and Carol Osness (Dale) all of Merrill and Darlene Osness of Wausau. Jean was preceded in death by her parents, Isabelle and Harold Travis; husband, David Osness; infant daughter, Anne Marie Osness; brothers, Wayne ‘Sid’ Travis and Robert Travis; and several brothers-in-law, sisters-in-law, nieces and nephews. 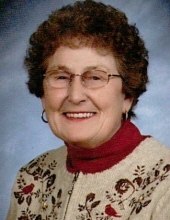 A memorial service for Jean will be held at 11:00 A.M. Saturday, January 26, 2019 at the Taylor-Stine Funeral Home, Merrill. Sister John Marie Simien will preside. Visitation will be from 4:00 P.M. until 7:00 P.M. Friday and from 9:30 A.M until the time of services on Saturday, all at the funeral home. Burial will take place at a later date at Merrill Memorial Park Cemetery. The family would like to express their gratitude to extended family and friends for their continuous love and support during this time. The visits, the delicious meals and treats were greatly appreciated. In lieu of flowers, memorials should be directed to Lincoln County Humane Society. To send flowers or a remembrance gift to the family of Faye Jean 'Jean' Osness, please visit our Tribute Store. "Email Address" would like to share the life celebration of Faye Jean 'Jean' Osness. Click on the "link" to go to share a favorite memory or leave a condolence message for the family.